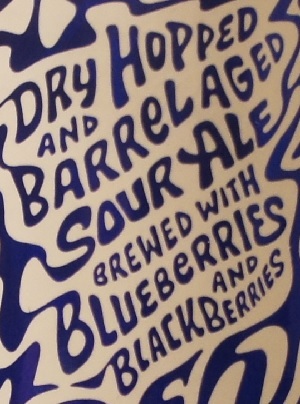 Brewer Description: (from bottle) Dry hopped and barrel aged sour ale brewed with blueberries and blackberries. Intro: A 375ml bottle, bottled on 19th January 2017. Poured into a Lost Abbey teku glass. Appearance: A hazy reddish colour with an orange hue and a one finger white head which fades quite quickly while leaving some sparse spotty lacing. 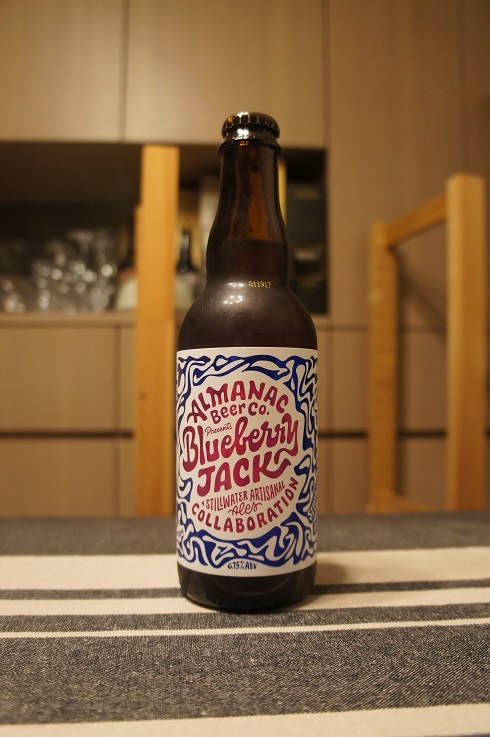 Aroma: Lightly tart blueberries amongst other berries, with hints of peach, apricot and mandarin. Taste: Sour and tart berries with citrusy orange and lemon plus a hint of vanilla and oak. Finish is very sour. Mouthfeel: Medium to light bodied with moderate prickly carbonation and a dry finish. Overall: I wasn’t really sure the vanilla flavour went to well here. I was surprised as I didn’t get this much vanilla in other Almanac sour barrel aged beers. Other than that though, I thought it was pretty tasty.